Alternatives to entering credit card numbers can provide customers with more payment choices, streamline checkout for mobile devices, and potentially save merchants money. Here is a list of alternative payment options. 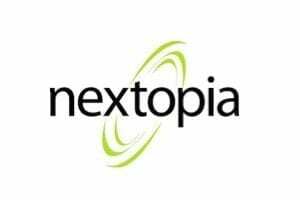 There are digital wallet solutions for mobile and online use, peer-to-peer money transfer services, and payment networks and platforms. Google Wallet is a digital wallet (where payment details are stored electronically, replacing the need for a traditional, physical wallet) that helps merchants create an engaging shopping experience, in-store or online. Merchants can showcase savable offers or integrate a loyalty program to Google Wallet through the Wallet Objects API. Additionally, merchants can create a fast checkout experience for their mobile sites and apps with Google Wallet Instant Buy. 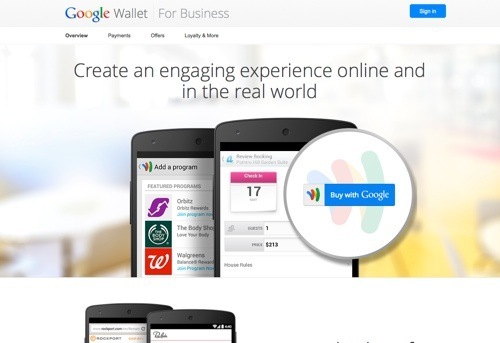 And Google Wallet can be linked to Google sign-in to reduce friction of registering to merchant sites. Price: Free. Dwolla is a payment network that allows any business or person to send, request, and accept money, without relying on credit cards. Dwolla connects to a bank account and allows you to move money at a very low rate. 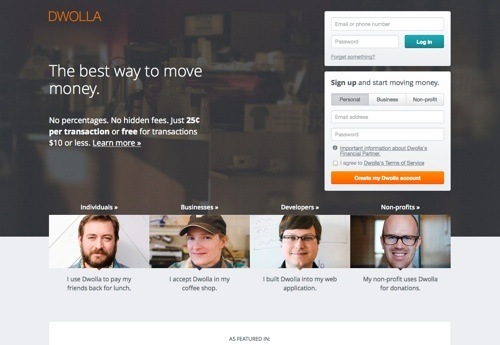 Easily create a “Pay With Dwolla” button on your website. Price: $0.25 per transaction, or free for transactions $10 or less. 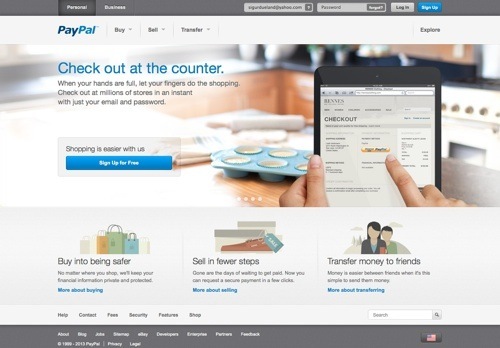 PayPal has 137 million active registered accounts and over 30 million U.S. mobile customers. Available in 193 markets and 26 currencies, PayPal is the 800-pound gorilla in alternative payment options. Merchants can quickly create and send invoices, accept PayPal payments from the vast user group, simplify PCI compliance, or even go mobile with its new plug-in card reader. Price: 2.9% + $0.30 per transaction. 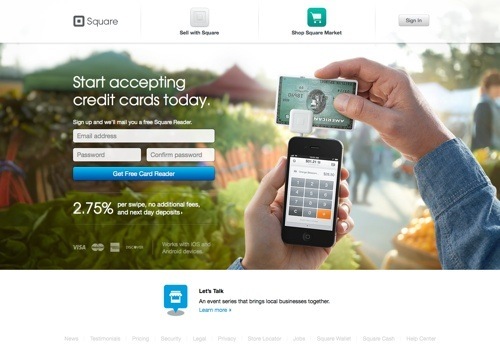 Square is a payment-processing app for iOS on iPhones or iPads. Square Wallet lets your customers pay with their phones — no card or cash is necessary. 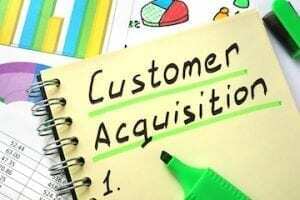 Its Square Register application for the iPad is an attractive alternative to the traditional cash register. 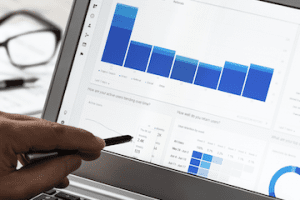 And Square offers a selection of tools to track sales, tax, top-purchasing customers, and more. Price: 2.75% per swipe or online sale and 3.5% + $.15 per manually entered transaction. Card reader is free when you sign up. 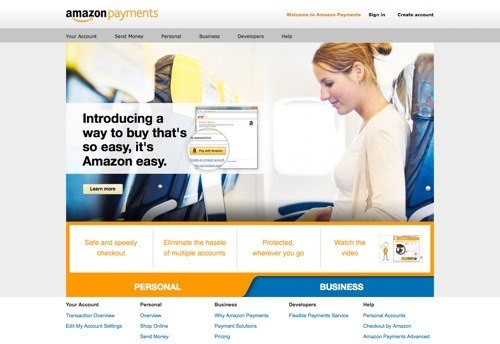 Amazon Payments features “Login” and “Pay With Amazon” options on your site to allow millions of Amazon customers to easily create a profile and purchase on your site. Amazon offers a seamless mobile payment experience and a massive user-base. With no redirects, you control your site and keep customers within your branded experience. Price: Based on a percentage of the transaction amount plus a per transaction fee, starting at 2.9% + $0.30 per-transaction, and as low as 1.9% + $0.30 per-transaction for monthly volume of $100,000. 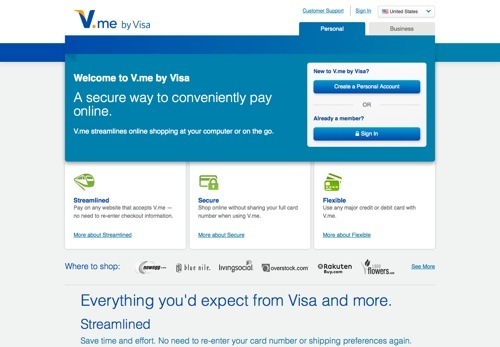 V.me is Visa’s solution to receive payments and simplify the checkout experience for your customers. Add the “Checkout With V.me” button to your site with just a few lines of code. 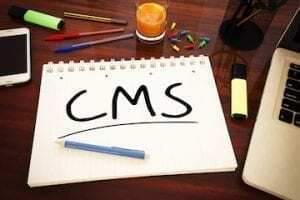 Your customers can check out with a username and password, confirming their payment details without leaving your site. V.me works with any major credit or debit card. Price: Contact for pricing. 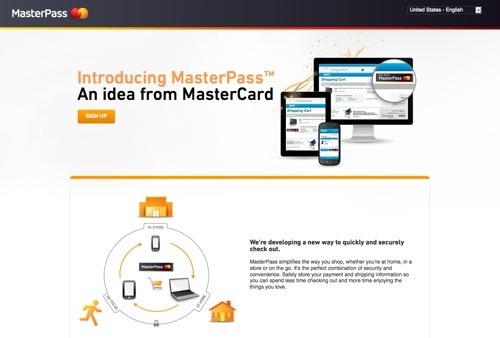 MasterPass is MasterCard’s solution to streamline a customer’s checkout. After selecting the MasterPass button on your site, a customer chooses the integrated digital wallet to use. 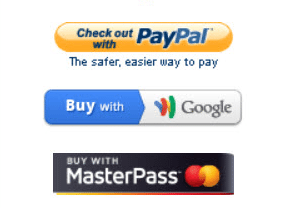 MasterPass then transfers payment and shipping information to the merchant for processing. 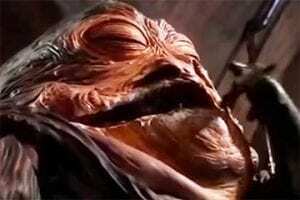 MasterPass supports all major credit cards. To use MasterPass, you must accept MasterCard-branded payment cards. Price: Free. 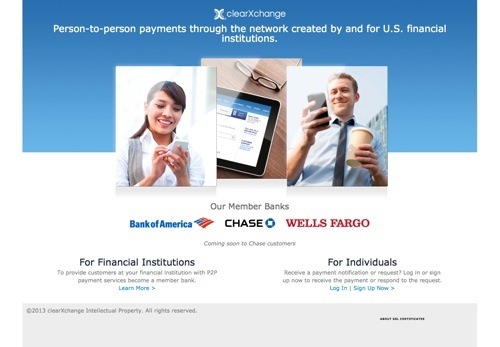 clearXchange is a service from Bank of America, Chase, and Wells Fargo that enables customers of its member banks to send and receive person-to-person (P2P). Send payments request by email or text message. If the recipient’s bank is not a clearXchange member, a clearXchange profile can be created to respond to the request. Price: Free. 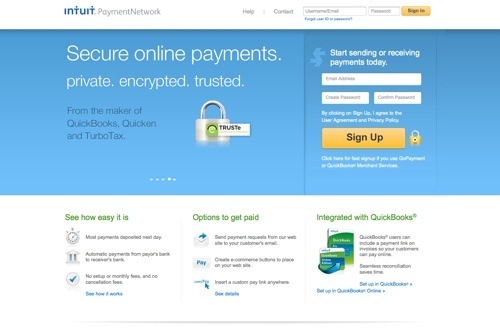 Intuit PaymentNetwork is a bank-to-bank electronic funds transfer solution. 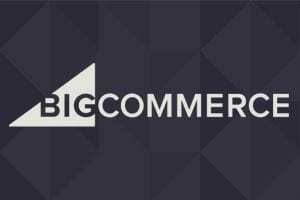 Create an ecommerce button on your website, or send payment requests to your customers. Insert a custom payment link anywhere. 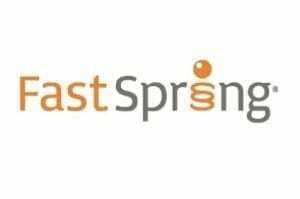 No setup or monthly fees, and no cancellation fees. Price: $0.50 per transaction to receive money. 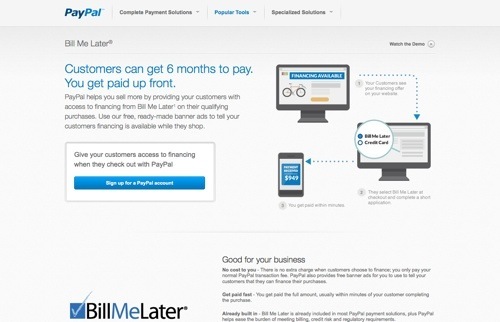 Bill Me Later is a service by PayPal that provides your customers with access to 6-month financing. PayPal provides a free banner ad to help you promote the financing option. 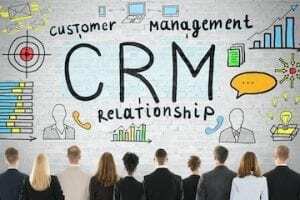 Your customers get more time to pay, and you get paid up front and don’t assume any credit risk. There is no additional charge to you when customers finance their purchases. 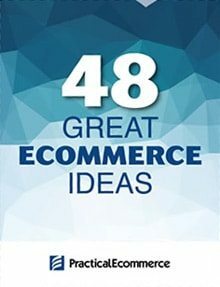 Price: Free on all PayPal business products. 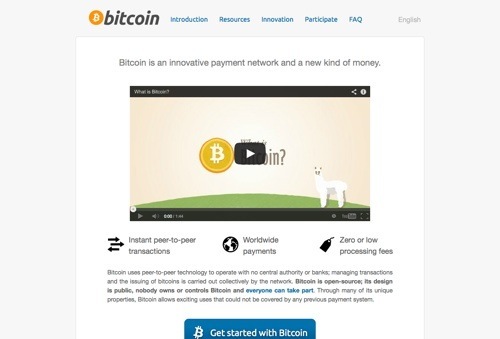 Bitcoin was the first “cryptocurrency,” a peer-to-peer, decentralized, digital currency. Bitcoin’s high cryptographic security allows it to process transactions in a very efficient and inexpensive way. You can make and receive payments using the Bitcoin network with almost no fees. In general, crypto currencies offer consumers an alternative to credit cards and the possibility of increased privacy. Download your free Bitcoin digital wallet and access merchant resources at Bitcoin.org. Price: Check each Bitcoin resource for pricing.